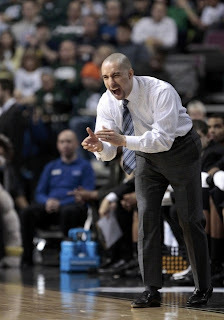 Shaka Smart, ever since he led Virginia Commonwealth to the Final Four from the First Four in 2011, has been one of the most sought-after coaches in the nation and he is at the top of almost every list for every vacancy. This year was no different as UCLA, which may be one of the top five prestigious jobs in the country, was reportedly gunning hard for Smart. However, Smart has elected to stay in Richmond and is working on a contract extension with VCU. Here is why he is making the right move. Listen, we all know that UCLA is an elite job. Nobody has won more championships than they have, hence why they only raise banners of national champions, had quite possibly the greatest coach in the history of sports in John Wooden, plenty of greats, sits in a tremendous recruiting hotbed and just had their arena renovated. But for all of those reasons, it is a tough job. It comes with a lot of pressure, pressure to win championships, but they have not won a title in 20 years. That's why they are able to fire a coach as successful as Ben Howland, who was in his third straight Final Four only five years ago (although he did have some clear turmoil in the program over the past couple of years). Plus, the fan support is not great, even with a sparkling Pauley Pavilion, you still saw a decent amount of empty seats this year. And if you are Smart, do you really have any reason to leave? VCU is clearly committed to him and the program, hence the fact that both sides are working on a contract extension. Smart has made VCU is a quality program, winning 27 games or more in each of his four seasons, and he is clearly happy there, so why leave? Plus, they have also made the Final Four more recently than had UCLA, so there's that.